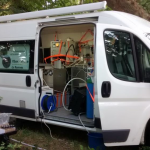 The Work Package 8.1 concerning “Dissolved Gas” is based on the development of in situ measurements of dissolved gases in groundwater and surface water. 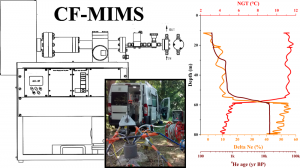 These tracers allow to calculate the physical parameters of water recharge (noble gases Ne, Ar, He, Xe, Kr), to estimate water biogeochemical reactivity by measuring O2, CO2, CH4 , H2, N2O, and N2 concentrations, and lastly to estimate the water residence time in natural environments (subsoil, lakes, rivers) by helium age (4He). 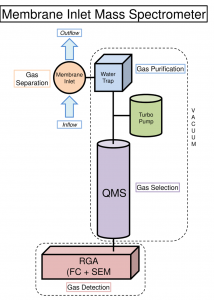 The technical choice was based on mass spectrometry (Figure 1), which makes it possible to identify a gaseous compound by its molar mass, coupled to a diffusion membrane, which makes it possible to continuously extract the gases from water (1 measurement per second!). 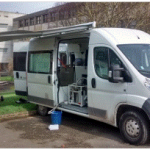 Hiden Analytical Company has responded to our need by optimizing the extraction membrane choice and by improving equipment robustness for its use on the field (resistance to shocks and vibrations). 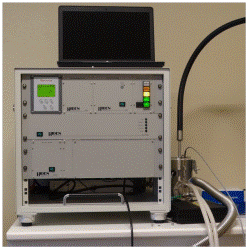 The equipment acquired is a “Membrane Inlet Mass Spectrometer – MIMS” (Figure 2). 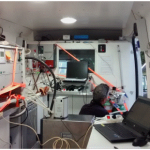 This equipment, already present in the oceanography domain (Tortell et al., 2005), has therefore been configured for our hydrogeological needs. 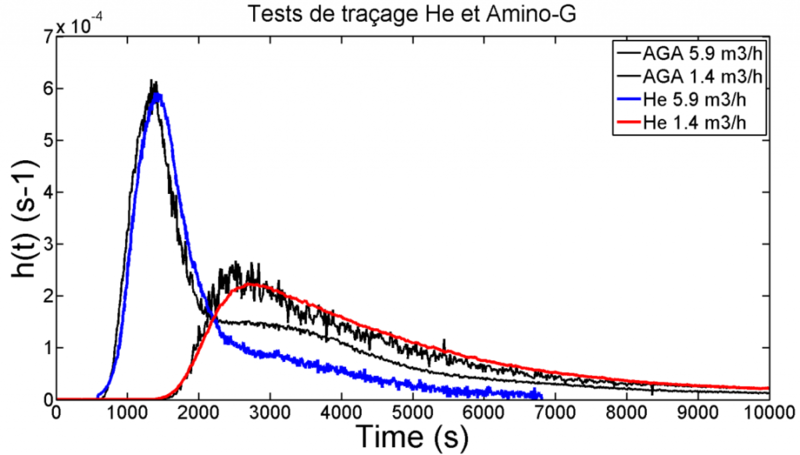 The technical development and validation of the assay procedures are carried out within the framework of Eliot Chatton PhD (Figure 2). 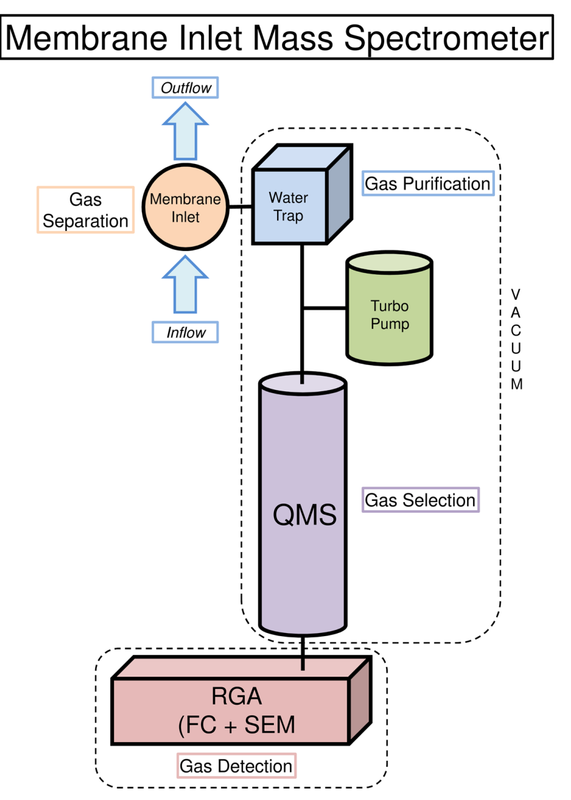 The difficulty lies in the correct calibration of each gas, which sometimes interferes with their mass (CO2 = N2O in molar mass). 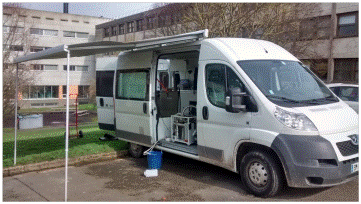 This development was based on the know-how of OSUR CONDATE-EAU Platform in Rennes, which for 13 years has been developing methods for measuring dissolved gases in groundwater (https://condate-eau.univ-rennes1.fr/). 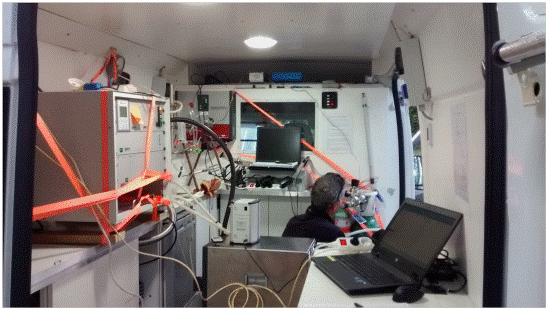 Production of dissolved gas profiles in drilling at the Ploemeur and Betton H + site – Eliot Chatton’s PhD (Figure 3). 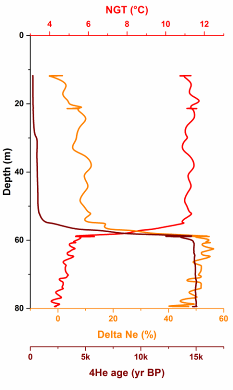 Figure 3-c) Dissolved gas profiles in wells (H + hydrogeological site, Betton 35) and measurements interpretation in terms of 4He age. 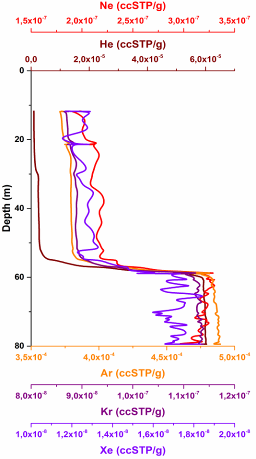 Figure 3-b) Dissolved gas profiles in wells (H + hydrogeological site, Betton 35) and measurements interpretation in terms of Noble Gas Temperature (NGT). 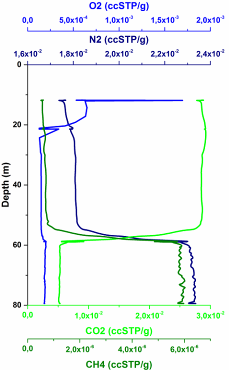 Figure 3-a) Dissolved gas profiles in wells (H + hydrogeological site, Betton 35) and measurements interpretation in terms of air excess (Delta Ne%). 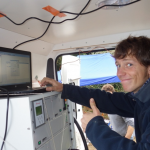 Thus, CRITEX project enabled the acquisition and development of a unique and innovative instrument in France for the analysis of dissolved gases in water. 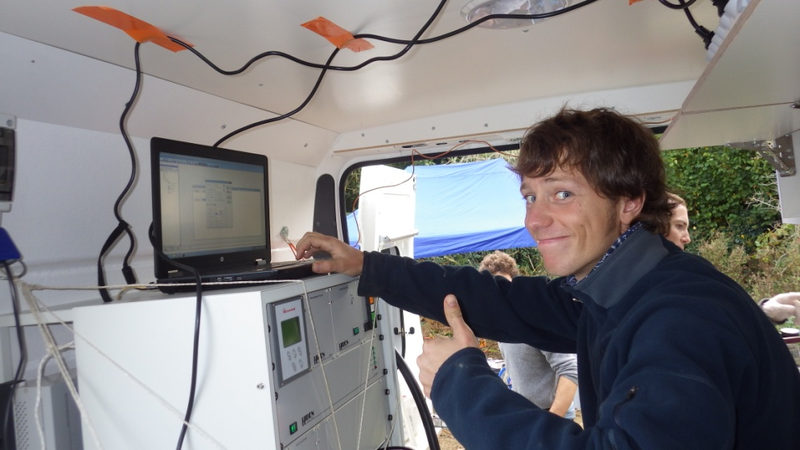 This tool will undoubtedly be at the origin of numerous scientific publications and will improve knowledge in hydrogeology.